Earlier this week, LG announced their latest flagship smartphone: the LG G3. Designed to compete against other flagship handsets such as the Galaxy S5, the HTC One M8, the Xperia Z2 and the iPhone 5s, the LG G3 will be available in the UK starting from July. Read on for a review of the handset and for a comparison against other popular smartphones. In August of last year, LG announced the G2: their flagship smartphone for 2013. Innovations included the back-mounted buttons and led to over 3 million devices being sold across the world. Earlier this week, LG announced their follow-up: the G3 smartphone. It’ll be their flagship smartphone for 2014 (you can also see our video coverage from the G3 launch event). Key improvements in the handset this year include a 5.5-inch display at quad-HD resolution (2560x1440 pixels). The bezels have been slimmed around the screen meaning the G3 offers a phablet-sized display in a smartphone-sized form factor. Other improvements include a metallic-looking design, faster auto-focus using laser technology, expandable storage via micro SD and the latest version of Android (Android 4.4 Kit Kat). One of the most impressive features on the LG G3 is the large phablet-size display packed into a normal smartphone form factor. The LG G3 has a 5.5-inch LCD display: the same size display as used on Samsung’s Note 2 phablet. Compared to rival smartphones (such as the Galaxy S5), the G3 is barely any larger even despite the much bigger screen. Size comparison (shown to scale): Credit Card, Samsung Galaxy S5, LG G3, HTC One M8, Sony Xperia Z2 and Apple iPhone 5s. The larger screen size within the same form factor is made possible by improving the screen-to-body ratio. With the G3, LG have narrowed the bezels around the screen. The LG G3 has a 76.4% screen-to-body ratio. It’s substantially higher compared to rival devices (e.g. 69.8% on the Galaxy S5, 66.7% on the HTC One M8 and 60.8% on the iPhone 5s). The G3’s display is also notable for having a higher resolution: its quad HD (2560x1440 pixels). Compared to the full HD resolution found on other flagships, there are 78% more pixels found on the screen. The screen has a pixel density of 538 pixels per inch - approach the quality of a professional “gallery art book”. The jury is still out on whether those extra pixels make a real difference: it can sometimes be difficult to tell the difference under normal usage of your phone. A downside of the higher-resolution screen is also the battery consumption which is slightly increased. With the G3, LG has also revamped the design of their flagship smartphone. Whereas the G2’s body gave the appearance of glossy plastic, the G3’s body now has a metallic texture. It’s achieved by adding a metal film to the still-plastic back cover. The appearance of brushed metal makes the phone feel more premium without compromising on weight or quality of reception. Although the LG G3 is constructed from plastic, it has a metallic-looking design. Like the G2, it still has back-mounted buttons. Looking to the rear of the handset, the LG G3 has back-mounted buttons like its predecessor, the G2. The button to unlock your phone can be found situated below the G3’s camera. It’s flanked on both sides with the volume up and volume down buttons. According to LG, the rationale for having back-mounted buttons is the growing size of today’s smartphones. With a larger device, it can sometimes be difficult to reach side-mounted buttons. An awkward grip using your phone in one hand can easily lead to the phone tumbling to the pavement. With back-mounted buttons, it can be easier to unlock your smartphone. The power button is situated in the place where your fingers normally lie. 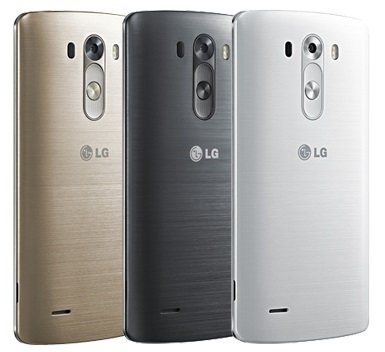 In the UK, the LG G3 will be available in three colours: Metallic Black, Silk White and Shine Gold. Like the G2, the LG G3 has a 13 megapixel camera with optical image stabilisation (OIS). OIS gives sharper and clearer images in low-light conditions by reducing the blur caused by shaking of the camera. The main change on the LG G3’s camera is the introduction of laser auto-focus. At present, the majority of smartphones use contrast detection autofocus. It focuses an image by trying a range of different focal points: the contrast is compared and the focal point chosen with the maximum contrast (this is the point where the image is in focus). As the camera needs to move back and forth to find the right focal point, you’ll often need to wait 1-2 seconds before the image is captured. Instead of using contrast detection autofocus, the LG G3 uses laser auto-focus. When taking a photo, the phone will emit an invisible laser beam (infrared light). By measuring the time it takes for the light to be reflected, the phone is able to work out the distance to the object (it’s a similar technique to that used in a laser-guided speed camera). Using the laser beam for a measurement of distance, the G3 is able to focus images more quickly. According to LG, it’ll only take 0.276 seconds to focus an image on the G3. The second major improvement is the introduction of dual-LED flashes (white & amber). This is designed to give more natural looking photos. Support for expandable storage. The LG G3 is able to accept a micro SD card of up to 128GB. 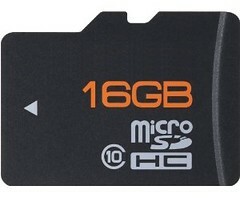 Combined with the 16GB of on-board storage, you can have a total of up to 144GB. Faster processor. The LG G3 has a 2.5GHz quad-core processor using the Snapdragon 801 chipset. This should give an increase in performance over the LG G2 which had a 2.3GHz quad-core processor (Snapdragon 800). Smart Notice. The Smart Notice feature gives “predictive recommendations based on the status of your phone, behaviour, and location”. For instance, if you normally use wi-fi when sat in the office, the phone will suggest this as an option as soon as you arrive in the morning. Knock Code. With the new Knock Code feature, you’re able to unlock your handset with a series of taps on the front of the screen. The knock code can be personalised for your usage and can be used as a replacement for your PIN or password. Gorilla Glass 3. The LG G3 uses Gorilla Glass 3. Compared to Gorilla Glass 2 (used on last year’s model), the G3’s display should be 3 times more resistant to damage. QuickCircle. The LG G3 has an optional QuickCircle case. 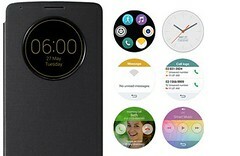 Through a circular window in the cover of your case, you’re able to access common features of the phone. Android 4.4 Kit Kat. The LG G3 has the latest version of Android: version 4.4 Kit Kat. It’s overlaid with LG’s user interface which has been redesigned to be simpler and flatter. For a full comparison of the Galaxy S5, HTC One M8, Xperia Z2 and iPhone 5s, please see our in-depth comparison of these 2014 flagship smartphones. 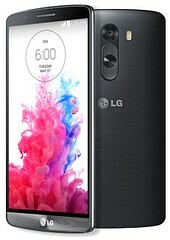 The G3 will launch immediately in LG’s home market of Korea. For the UK, the expected release date is July 1st with exact pricing still to be confirmed. The UK will receive the handset with the model number D855. In this article, we’ve discussed LG’s latest smartphone: the LG G3. With a larger screen and slimmer bezels than before, a metallic-looking design, laser-guided auto-focus and support for micro SD storage, the LG G3 is a strong contender when it comes to 2014’s best smartphone. What do you think of the LG G3? Were you impressed by LG’s latest flagship? How does it compare against rival devices such as the Galaxy S5, HTC One M8 or Xperia Z2? We’d love to hear your thoughts: please drop us a comment below and let us know what you think! Nice phone. Thanks for the review! 13mp for a phone is way, way too much.